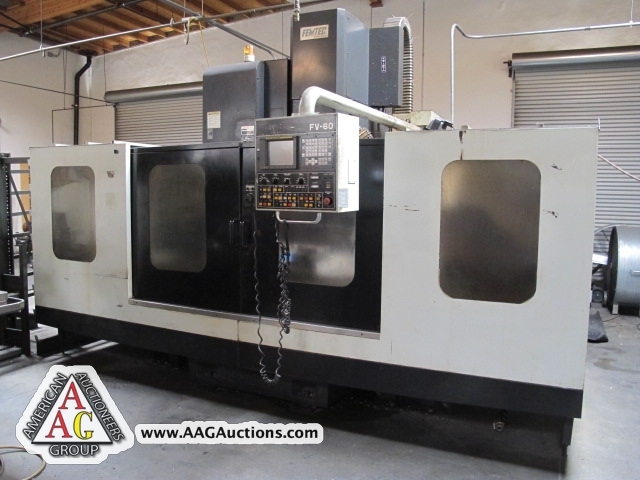 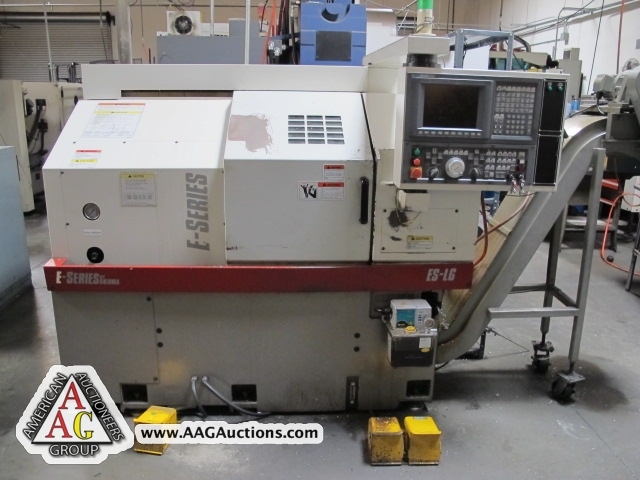 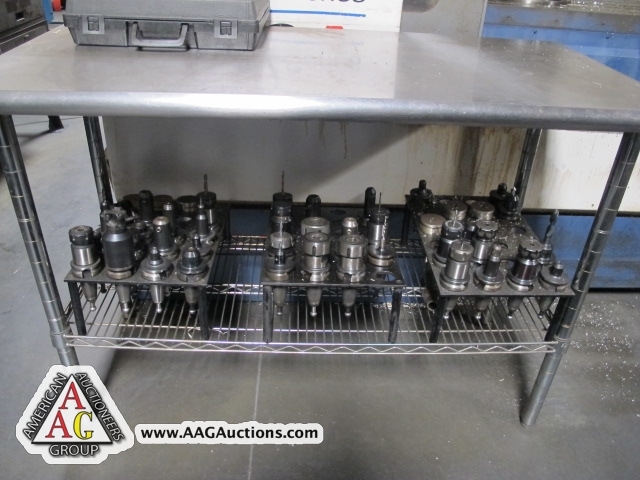 AUCTION DATE: THURSDAY, FEBRUARY 16, 2012 – STARTING @ 11:00 A.M.
CNC TURNING AND MILLING DEPT 2005 OKUMA MODEL ES-L6 CNC LATHE WITH OSP-UL10 CNC CONTROL, 6’’ CHUCK, CHIP CONVEYOR, 12 POSITION TURRET, S/N D0812. 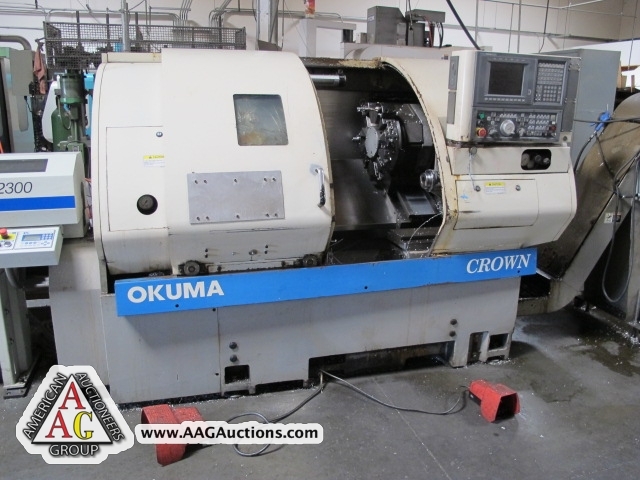 OKUMA CROWN MODEL 762S-BB CNC LATHE WITH OSP- 700L CNC CONTROL, 10’’ CHUCK, CHIP CONVEYOR, 2’’ THROUGH HOLE, 12 POSITION TURRET, S/N 0970. 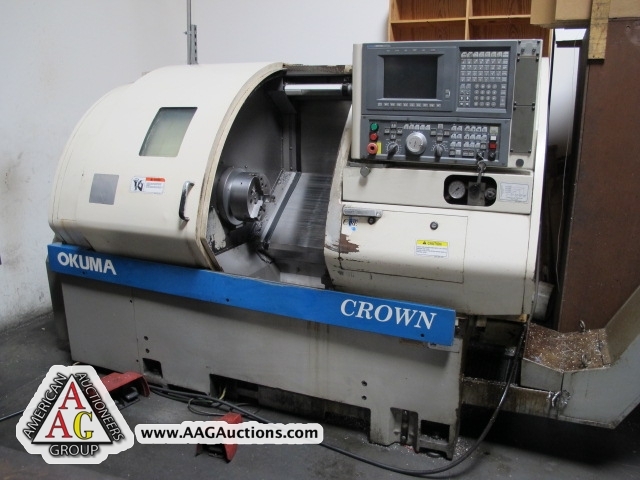 OKUMA CROWN MODEL 762S-BB CNC LATHE WITH OSP- 700L CNC CONTROL, 10’’ CHUCK, CHIP CONVEYOR, 2’’ THROUGH HOLE, 12 POSITION TURRET, S/N 0021. 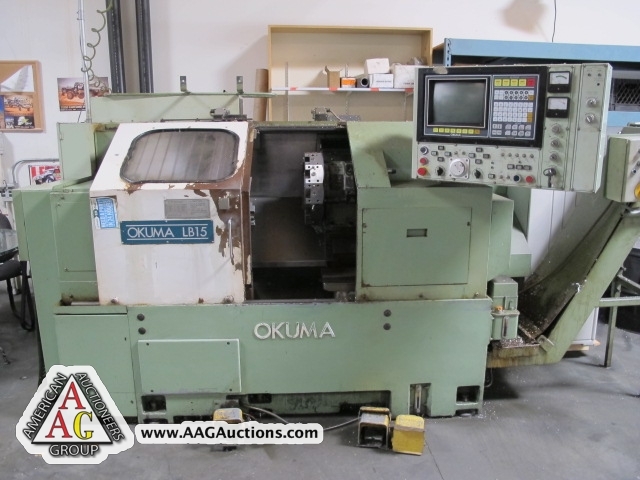 OKUMA MODEL LB-15 CNC LATHE WITH OSP-5000 CONTROL, 8’’ CHUCK, 12 POSITION TURRET, CHIP CONVEYOR, S/N 6103.3522. 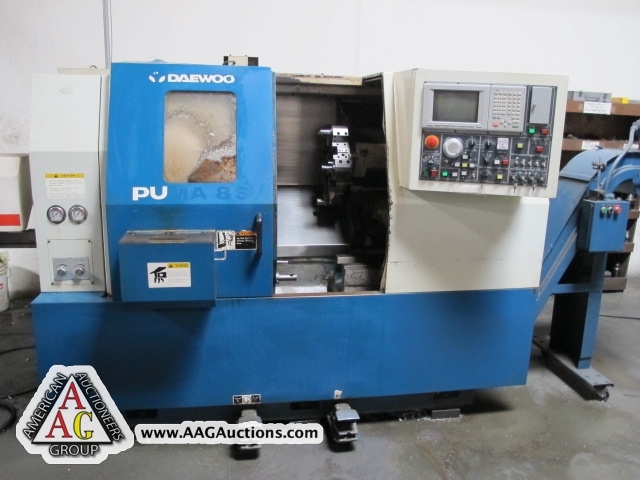 1996 DAEWOO PUMA-8S CNC LATHE WITH MITSUBISHI CONTROL, 8’’ CHUCK, CHIP CONVEYOR, 12 POSITION TURRET, S/N PM8S-0619. 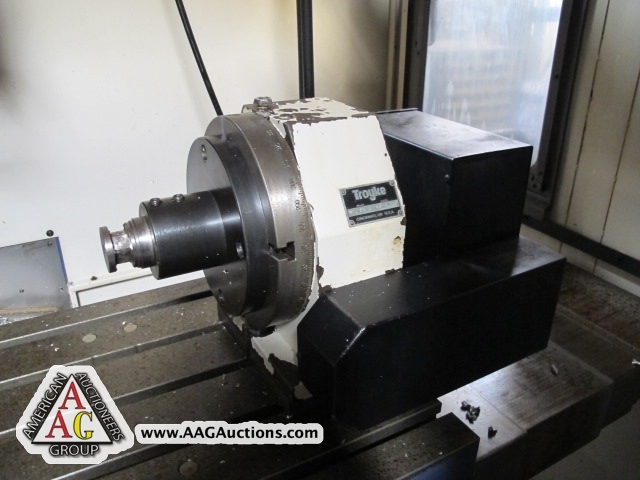 TOOL CHANGER, 4TH AXIS READY. 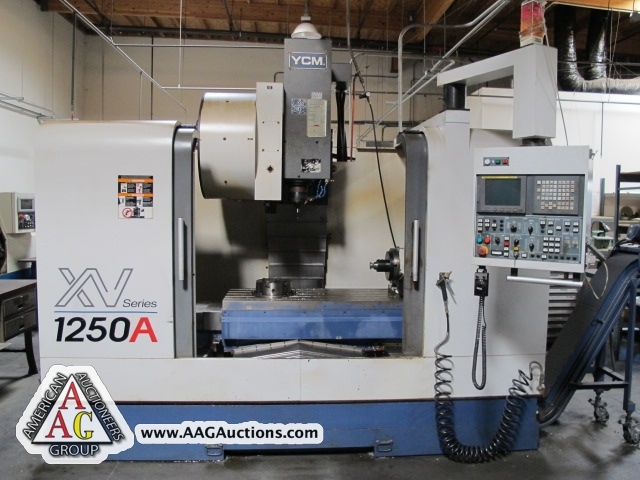 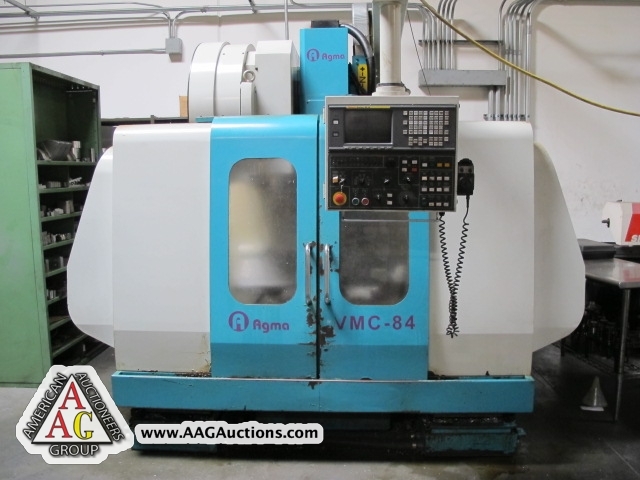 AGMA MODEL VMC-84 CNC VMC WITH FANUC 18M CONTROL, 40 TAPER SPINDLE, 10,000 RPM, 24 ATC, SIDE MOUNT TOOL CHANGER. 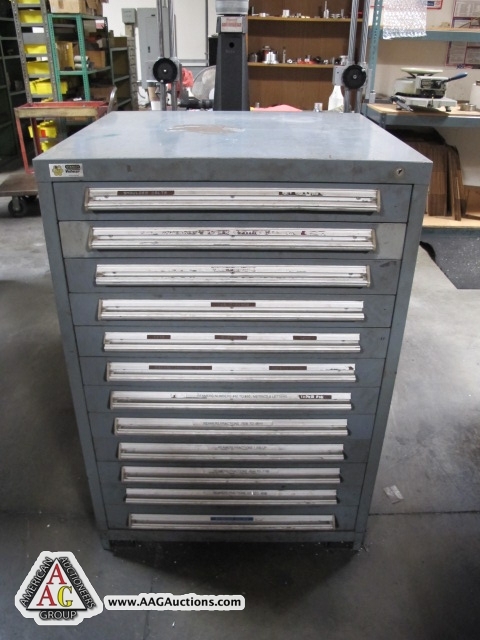 MOUNT TOOL CHANGER, S/N 019021. 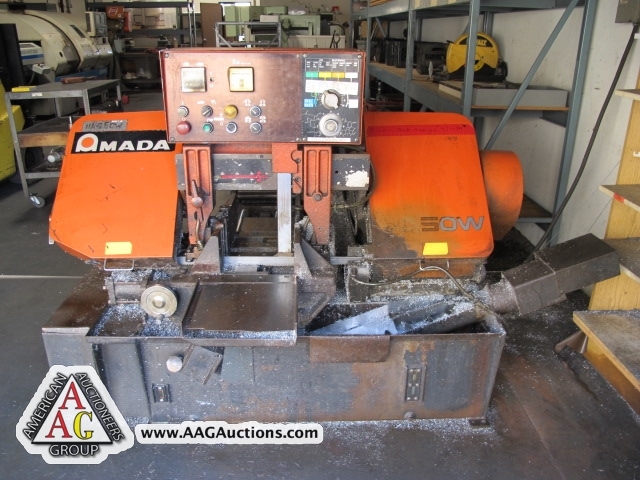 2006 SMW 2300 BAR FEEDERS/N 18-708. 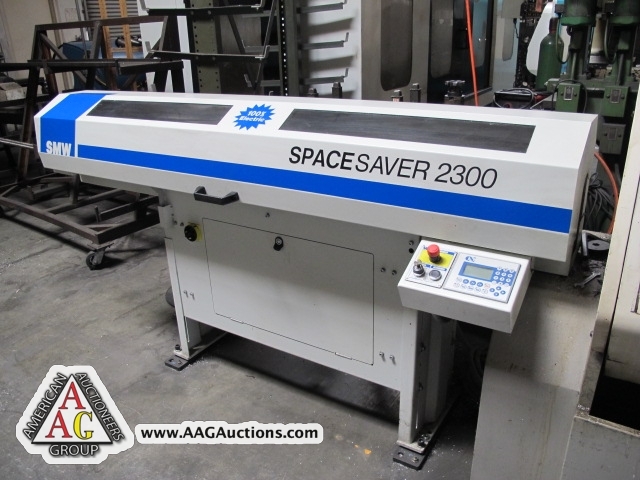 1999 SMW 2000 SPACE SAVER BAR FEED. 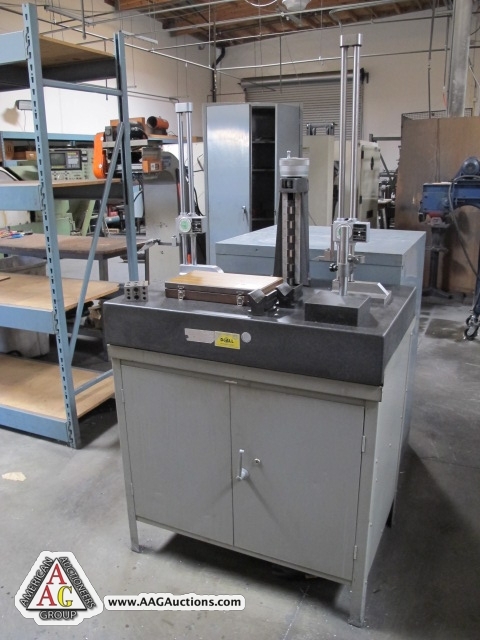 TROYKE 10’’ 4TH AXIS ROTARY TABLE. 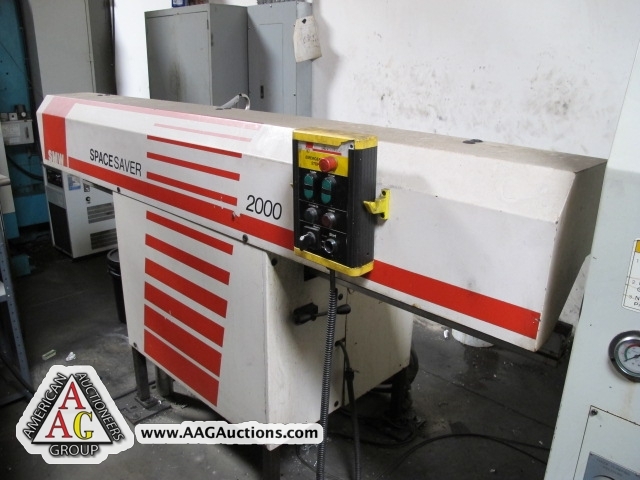 1995 AMADA HA-250W, AUTOMATIC HORIZONTAL BAND SAW, 10’’ CAPACITY. 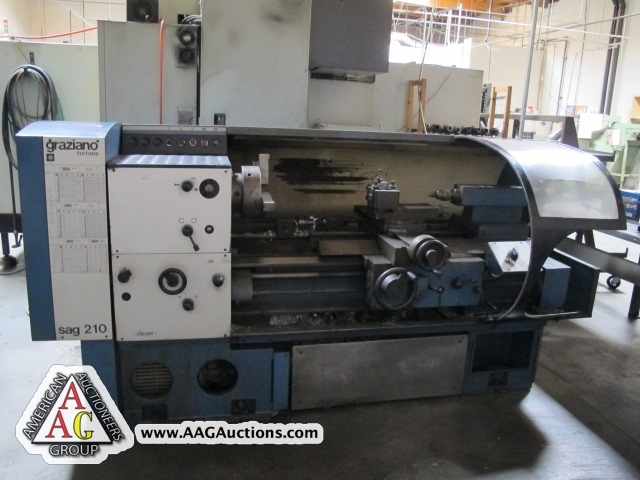 GRAZIANO SAG-210, 17’’ X 40’’ CAPACITY ENGINE LATHE, S/N 91861.2. 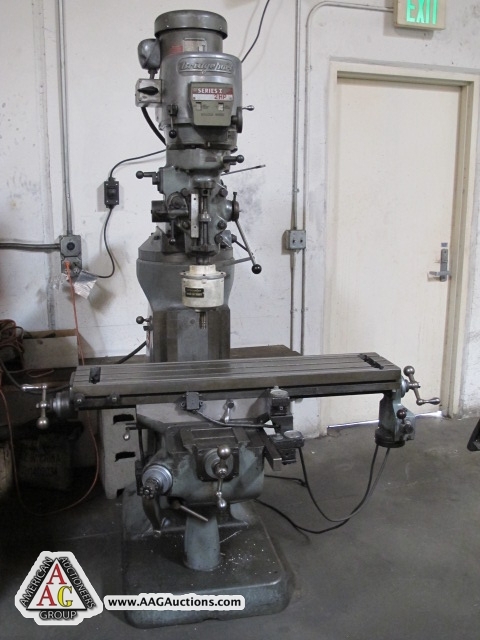 BRIDGEPORT VERTICAL MILLING MACHINES WITH VAR SPEED, 2HP, POWER FEED. 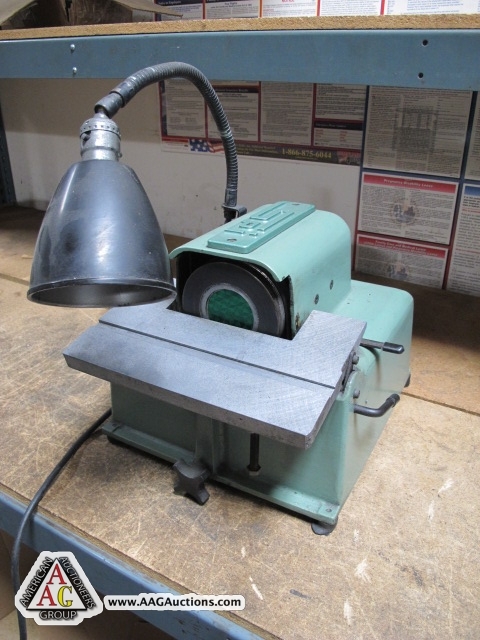 BRIDGEPORT VERTICAL MILL WITH 1.5 HP. 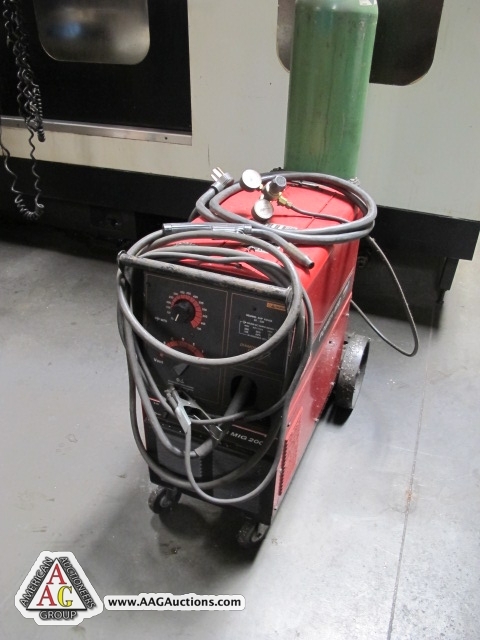 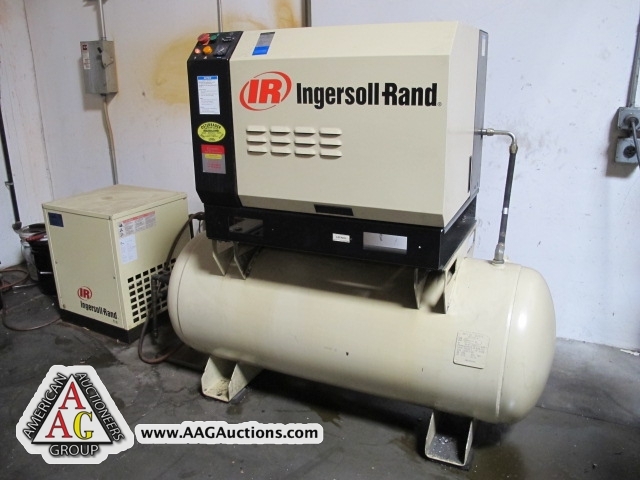 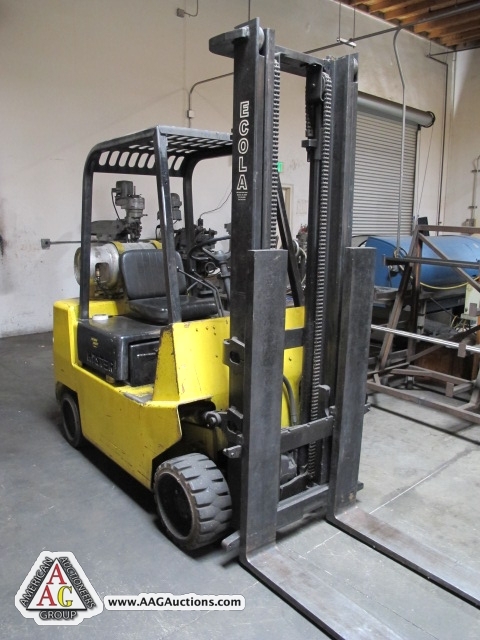 INGERSOLL RAND SSR-EP15, 15 HP ROTARY AIR COMPRESSOR WITH AIR DRYER, 22,000 HOURS. 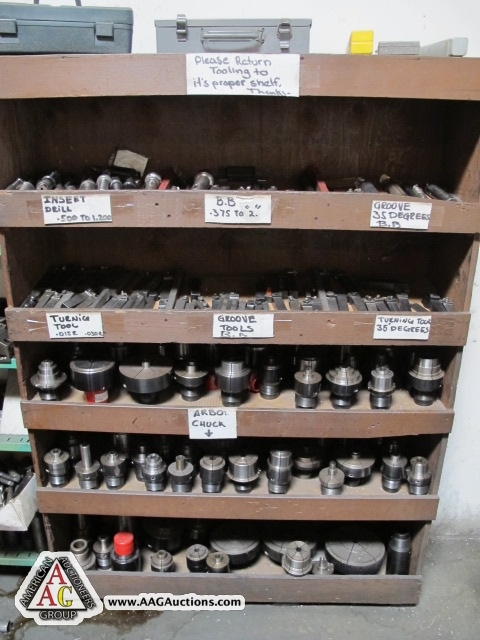 VARIOUS GRINDERS, DRILLS, TOOLING, CABINETS, INSPECTION TOOLS, MICS, CALIPERS, GAGES, END MILLS, CARBIDES, TOOL HOLDERS, VISES, CNC SPINDLE NOSE PIECES, LISTA CABINET, CARTS, GRANITE PLATES, CNC TOOL HOLDERS, CUTTERS, AND ETC.